Pickling lime is a white chemical powder that's used in older pickle recipes to add crispness to the finished product. It works by introducing calcium into the pectin of the food to be pickled. Pickling lime works well for this purpose, but it's no longer recommended because the use of this chemical can lead to botulism in the finished pickles; several cases have been reported. Here's an explanation of pickling lime, how it's used, and what you can use as a substitute. Historically, pickling lime has been used in home canning to make pickles. If you have one of your grandmother's old pickle recipes, it likely calls for pickling lime. You can't just use calcium hydroxide from the hardware store as pickling lime. The chemical needs to be food grade. Common brands used for food and canning include Mrs. Wages; Ball Canning no longer offers pickling lime. Why Isn't Pickling Lime Recommended? There's a very good reason that pickling lime isn't recommended any longer for home canning: Using pickling lime in pickle recipes has made people sick. As you probably know, canned pickles must be bathed in something acidic, which kills any bacteria left over from processing. That's why recipes call for vinegar, which is a very acidic substance. If the canning liquid isn't acidic enough, then it doesn't kill the bad bacteria, and those bacteria are left to grow in your pickles. Pickling lime is an alkaline chemical. Consequently, you can't leave any pickling lime on your pickles when you can them, or you risk neutralizing the acidity of the vinegar. Pickling lime has to be rinsed off extremely thoroughly before you can your pickles. Failure to do so could result in a less acidic pickling solution and create an environment where bacteria are able to thrive. Botulism cases have been linked to this problem. For this reason, the use of pickling lime is no longer recommended. 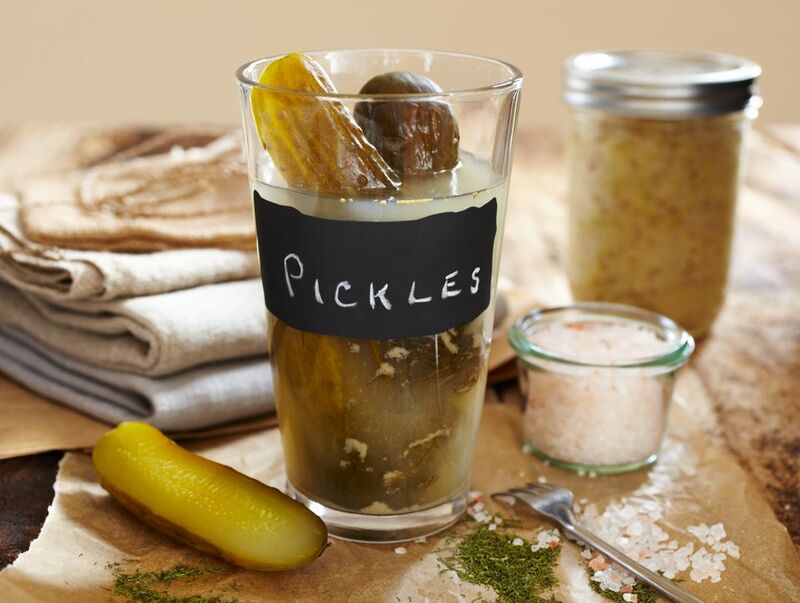 It's possible to keep your pickles crisp without using pickling lime. Many recipes call for pickling salt, which is simply pure salt (sodium chloride). You need to purchase pickling salt for this purpose because regular salt usually includes anti-caking agents and iodine, both of which can make your finished pickles look less appealing. Can I Reuse My Canning Lids?